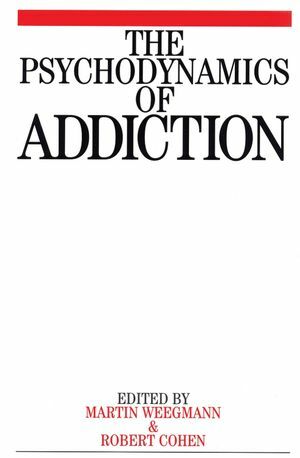 Martin Weegmann is the author of The Psychodynamics of Addiction, published by Wiley. Marcel Cohen is the author of The Psychodynamics of Addiction, published by Wiley. Historical Review of Different Schools. The Application of Bowlby' s Attachment Theory to The Psychotherapy of Addictions. Heinz Kohut and The addictions. Dynamics of Addiction in The Clinical situation. Psychodynamic Assessment of Drug Addicts. Individual Psychotherapy with Addicted People. Psychodynamic Perspective on Relapse prevention in Addiction. In Search of A Reliable Container. Staff Supervision in a DDU. Growing up With Alchohol or Drug Abuse in The Family.